John Stanley Czuhajewski, age 89, of Paw Paw, passed away at home November 12, 2018. 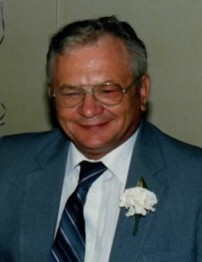 He was born April 30, 1929 in Paw Paw, to the late Michael and Margaret (Bryla) Czuhajewski. He is survived by his wife of 62 years, Mary (Russ), four children, John (Bonnie) Czuhajewski, Dolores Bingham, Robert (Kay Marcum) Czuhajewski and Don (Jo) Czuhajewski, eight grandchildren, Noa Kim, Kendra Czuhajewski, Ellie Bingham, Nicole Czuhajewski, Matthew Czuhajewski, Andrew Bingham, Amy Czuhajewski and Thomas Czuhajewski, two sisters, Cecelia Roberts and Theresa Kapka, along with many nieces and nephews. John was preceded in death by three sisters and six brothers. John retired from the State of Michigan Highway Department after 21 years of service, prior he was employed with Checker Motors for 12 years. Following retirement John enjoyed road trips with Mary antiquing. He also enjoyed fishing, hunting and time spent with his family. The family will receive friends on Friday, November 16, 2018 beginning at 10:00 a.m. at the Adams Funeral Home, 502 West Michigan Ave, Paw Paw, where a funeral service will commence at 11:00 a.m. with Fr. Joseph Xavier officiating. Burial will follow at Saint Mary Cemetery. Memorial contributions may be directed to Saint Mary Catholic Church or to the Paw Paw Fire Department.